“Only in Japan? Sure!” I went. Anything to save, so I thought. And it would make a great story too. “Okay… are you willing to face that experience again? 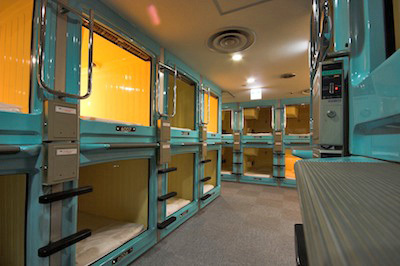 What my friend did not tell me that not many women stay in Capsule Hotels in Tokyo. In fact, not many capsule hotels take in female guests. Which made the experience more unique and unusual for me. The first thing that struck me was how deafeningly quiet it was. This was an all-female floor, and there weren’t many women that night. The quietness and the lack of other living people made the place feel morbid – as I stared down the two rows of capsules, they reminded me of sanitized coffins stacked one over the other. It took me a while to open the little door, and more courage to crawl into that little hole. Before I shut the ‘door’, all my memories of being stuck and feeling totally alone came rushing in as well, to share what little space I had in that capsule. Now, I’m not a very large person, just above 1.6m, weighing around 50kg. Boy, it was small. And I felt closed in. Here I was, alone, me, myself and I, in a small space. When I was able to get over my memories, I could appreciate the efficiency and neatness that came with the compactness of the capsule. It had all I needed to help me get through the night – my curious fingers played for a bit with the alarm clock, a radio/TV and the light switch. I literally laughed when I saw the panic button. 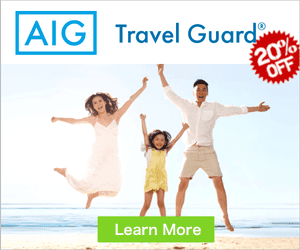 Ah – they really do think about everything, don’t they? There was also a small screen to draw down for privacy. So my friend asked the next day. Did I like the experience? My answer to her was, it was, and remains, till today, my ultimate modern Japanese experience. Use the box below to check the latest room rates.